Иран-США: Новая песня о старом? By Editor of «Caucasus International» journal (Vol. 6 • No: 2 • Winter 2016): «The issue also features an off-topic article - Rizvan Huseynov Najafoglu, the Director of Caucasus History Center and a Senior Researcher at the Institute of Law and Human Rights of Azerbaijan National Academy of Sciences (ANAS) provided an article on “Historicity and Historical Ethnography of Azerbaijan: The 18th and 19th century Caucasus at a Glance” where he analysis the ancient and medieval sources on Azerbaijan». 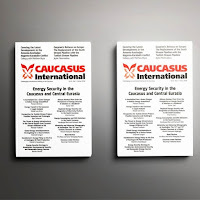 This article is a part of a larger research project on historical territories and the Turkic population of Azerbaijan in the South Caucasus, first published in 2015 as a monograph, “Azerbaijan and the Armenian question in the Caucasus” (Азербайджан и армянский вопрос на Кавказе). The author drew upon nearly 300 ancient, medieval, and modern sources describing Azerbaijan’s territories in the Caucasus. This article presents the European and American sources from the 18th and early 19th centuries, describing the territory and the population of Azerbaijan in the Caucasus. 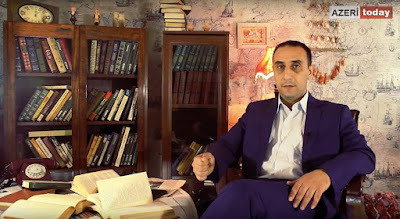 The aim of this study is to show the historicity of Azerbaijan in regional politics and international relations during the aforementioned period. For a long time, European and Russian scientific tradition accepted the view that the historical territories of Azerbaijan are located in Iran, and that in the South Caucasus, the definition “Azerbaijan” appeared only after the establishment of Azerbaijani Democratic Republic in 1918. Based on this rather shaky assertion, it was frequently concluded that Azerbaijan is an artificial political formation, historically unrelated to the Caucasus. 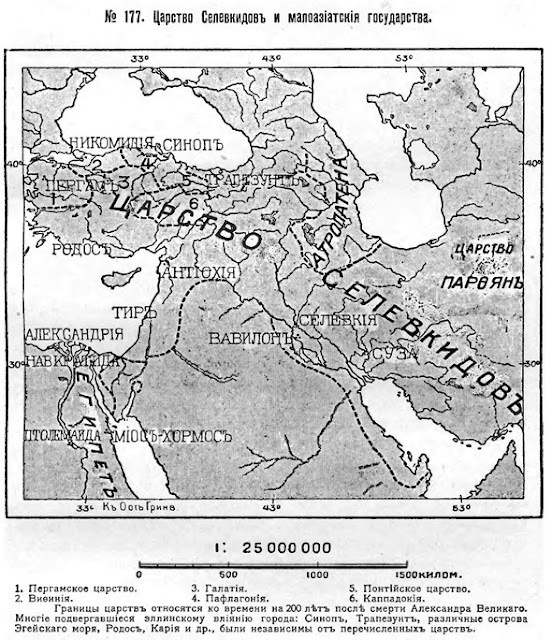 In many textbooks, scientific works and articles published in various countries, Azerbaijani territories in the South Caucasus are often labeled part of “South Armenia” or Persia; or split into administrative units (Shirvan, Dagestan, Zakatala, Gazakh, Aran, Karabakh, Lenkoran and other). Such accounts clearly fail to take into consideration the fact that all of these administrative units were for many centuries united as part of Azerbaijan, covering large areas of the western coast of the Caspian Sea, Caucasus, and Western Asia. The willingness of parts of the scientific and political community to deny Azerbaijan’s historical existence on the geopolitical map of the region no doubt plays into the hands of Armenia, a country that has illegally occupied 20% of Azerbaijan’s territories since the beginning of the 1990s. The regrettable tendency in the academic community to ignore Azerbaijan’s historicity has been used by Armenia to justify the “liberation of the ancient Armenian lands.” The occupation and the distortion of history in defining the contemporary map of the South Caucasus makes it necessary to demonstrate to the flawed nature of this interpretation of the region’s political history. As a response to such a tendency, this paper argues that the continuity of Azerbaijan’s borders within the South Caucasus can be traced back more than two thousand years. As part of a broader research project on historical territories of Azerbaijan in the South Caucasus, this paper suggests – through studying European and American sources, writings and maps – that an initial examination of the territories, political role and ethnic composition of Azerbaijan during the 18th and 19th centuries clearly shows the historicity of the country. The paper accordingly offers a brief account of 18th and 19th century maps and writings on Azerbaijan produced by European academics and travelers. The Republic of Azerbaijan considers itself the spiritual heir to the great medieval oriental empires established by Azerbaijani rulers and khanates in the Caucasus, Asia Minor, the Middle East, and Central Asia over different historical periods. And historically, Azerbaijan’s borders are considered to run from the Caucasian mountain ridge in the North (down to Derbent) to Central Iran in the South, from the Geycha Lake (now Sevan Lake in Armenia) and Urmia (north-west Iran) in the West, to the Caspian Sea in the East. In fact, international treaties signed by Russian emperors, Ottoman sultans, and Persian shahs had long recognized such territories as part of Azerbaijan. Nevertheless, this vast area continued to be considered as Azerbaijani territory until the surrounding empires turned the Caucasus into a battleground in the 18th and 19th centuries. Accordingly, the weakening and then the collapse of the Safavid Empire in 1774 led to a protracted battle between Russian, Ottoman, and European empires for the division of territories that had constituted the Empire. However, this process could not prevent the creation of the Azerbaijani Qajar Empire on the ruins of the Safavid state. Accordingly, following the signing of the Treaty of Turkmenchay in 1828, the historical Azerbaijan territories were divided between Russia and Qajar Iran. Indeed, it was in this very period (the 18th and 19th centuries), that the European scientific and political community began paying attention to the history, people, and political situation of the Caucasus thus produced studies and writings in addition to maps and cartographies on political and ethnic composition of the Safavid and Qajar Empires. Jean Jacques Élisée Reclus, the 19th century French scientist, notes that the Atropatene-Azerbaijan territories spread as far as Dagestan, for example. Reclus presented a map of the region wherein the territories of Atropatene spread to the North Caucasus. The map was published in two Russian pre-revolutionary books written by Reclus. (Fig. №1). It is important to note that Reclus counted nearly one hundred of cuneiform inscriptions in Armenia and Azerbaijan that were destroyed or moved to different countries. He also mentions that the lands of the Caucasus, Azerbaijan and present day Armenia were settled by Turkic people in ancient times. He specifically locates Armenia in Asia Minor, stating that Armenians moved from there to the Caucasus. Furthermore, he writes that many different ethnicities call themselves “Armenians”, noting their relationship to the Armenian Gregorian church. Reclus also explained that in ancient times, Turkic people inhabited and ruled vast territories including present day Armenia. Therefore, as the above sources suggest, the spread of the Atropatene-Azerbaijan territories to the North Caucasus and its population with Turkic peoples is proven by ancient inscriptions and in archaeological findings. Thus the so-called scientific approaches of confining and reducing the heritage of the region to Persian people or to “ancient Armenians” are vague, biased, and mostly politically driven. 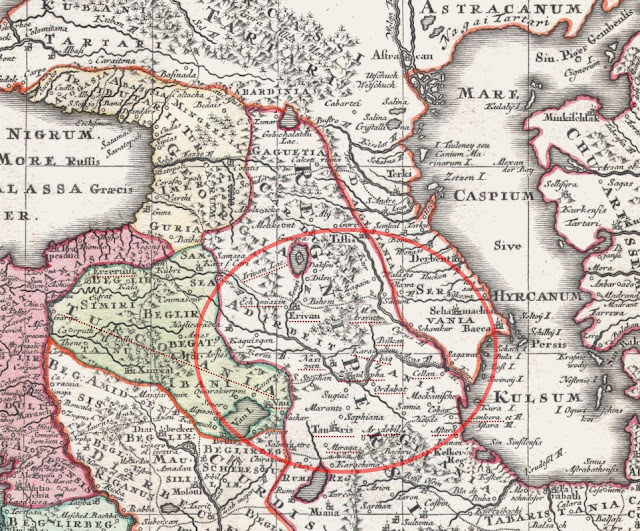 European authors and cartographers of the 18th and 19th centuries wrote that the territories of Azerbaijan covered a considerable part of South Caucasus, present Armenia, and also included Derbent in the north. They were confirmed also by medieval Arab and other sources. The map of the 18th century German cartographer Georg Matthäus Seutter (Fig. 2) for example shows the territory of Azerbaijan covering the vast lands of the Southern Caucasus and present day Armenia, where the Erivan khanate was situated. There are several different sources of information on Azerbaijan’s division between the Russian and Persian Empires under the 1828 Turkmenchay Treaty. An interesting source on the post-Russian annexation geography of Azerbaijan is the map drawn up by Thomas Gamaliel Bradford (1802-1887). In his book “A Comprehensive Atlas: Geographical, Historical & Commercial” (Boston, 1835), a map on “Persia, Arabia, Tartary, Afghanistan (Fig. No. 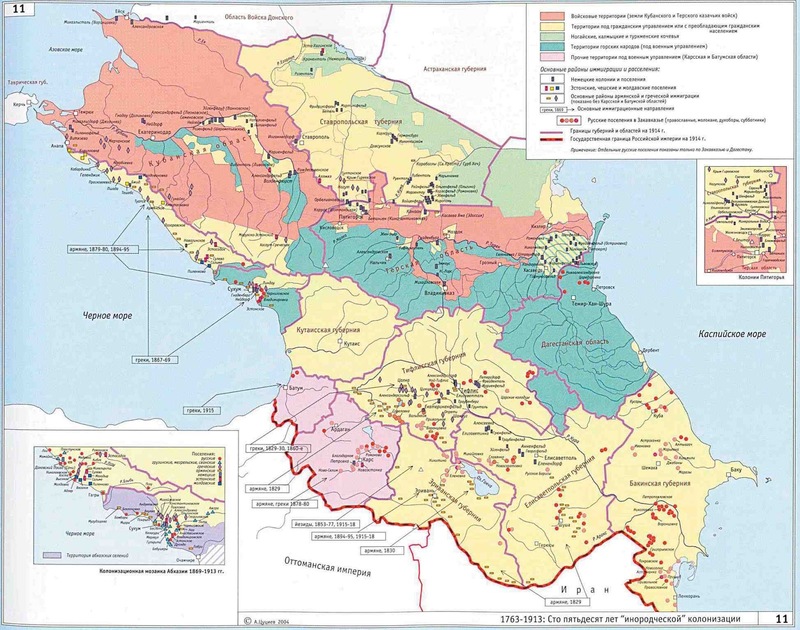 3) shows the territories of Azerbaijan encompassing present day Armenia and Yerevan. 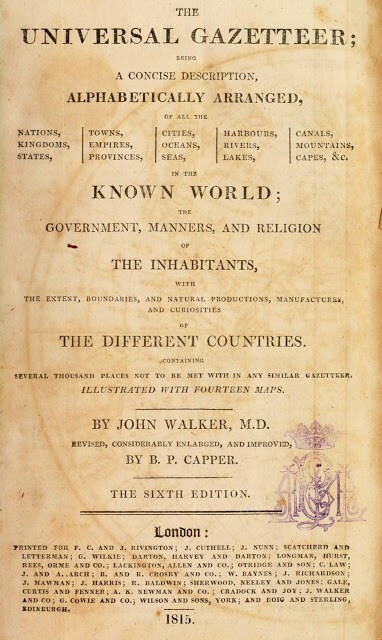 Thomas Bradford was indeed a reliable academic, as he was the junior editor of “Encyclopedia Americana”, the first significant Encyclopedia of the USA and during his career he drew up several maps of United States and other countries. 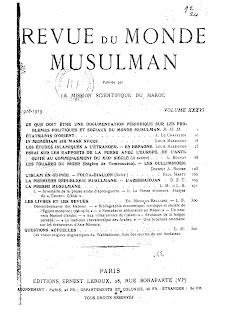 In another example, the British “Society for the Diffusion of Useful Knowledge” (1826-1848) published the Encyclopedia “The penny cyclopedia” in 1838, which stated that the Muslim population of Karabakh exceeded the Armenian population by a factor of 10. The source also states that the mass movement of the Muslim population from Karabakh to Iran occurred, while simultaneously, Russia encouraged Armenians to settle in Karabakh. “The population of Karabagh, according to the official returns of 1832, consisted of 13,965 Mohammedan and 1491 Armenian families, besides some Nestorian Christians and Gypsies. This limited population may be ascribed to the frequent wars which have long desolated the province, and to the emigration to Persia of many Mohammedan families since its subjection to Russia, although many Armenians were induced by the Russian government, after the peace of Toorkmanchai peace accord between Russia and Qajar state, to emigrate from Persia to Karabagh.” The British Society map, drawn up in 1835 and published in 1844, (Fig. №4) depicted Azerbaijan as encompassing the current territories of the Armenian Republic. 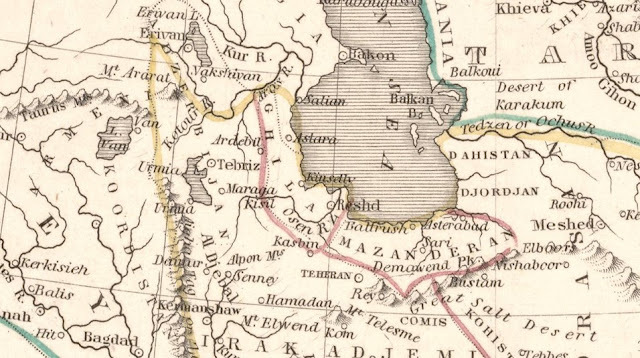 In his 1864 memorandum for the Royal Geographical Society, the British consul in Tabriz, Keith Abbott, described Azerbaijan: ”The country known to the Persians as Azerbaijan is divided between them and Russia, the latter Power possessing about five-eighth of the whole, which may be roughly stated to cover an area of about 80,000 square miles, or about the size of Great Britain; 50,000 square miles are therefore about the extent of the division belonging to Russia, and 30,000 of that which remains to Persia. The Russian division is bounded on the north and north-east by the mountains of Caucasus, extending to the vicinity of Bakou on the Caspian. On the west it has the provinces of Imeritia, Mingrelia, Gooriel, and Ahkhiska (now belonging to Russia); on the east it has the Caspian Sea, and on the south the Boundary is marked by the course of the River Arrass (Araxes) to near the 46th parallel of longitude, then by a conventional line across the plains of Moghan to the district of Talish, and by the small stream of Astura which flows to the Caspian through the latter country. In this area are contained the following territorial divisions: Georgia or Goorjistan, comprising Kakhetty, Kartaliny, Somekhetty, Kasakh; the Mohammedan countries of Eriwan, Nakhshewan, Karabagh, Ghenja, Shirwan, Shekky, Shamachy, Bakou, Koobeh, Salian and a portion of Talish.” This memorandum shows that in the 1860s, the populations of Erivan, Nakhchivan and Karabakh were predominantly Muslim and Turkic, even after several thousands of Armenians from Iran and Turkey had settled there. 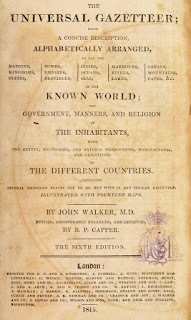 The British newspaper “The universal gazetteer” published an article stating that at the beginning of the 19th century, vast territories in Caucasus and especially the present Republic of Armenia, were located inside Azerbaijan: “Aiderbezan, or Azerbeyan, a fruitful province of Persia, situated at the west coast of the Caspian Sea, and having Georgia on the north. Its chief town [Aiderbezan] is Taurus. The climate is healthy, but cold” (Fig. № 5, 6). Amable Jourdain conceived Azerbaijan’s borders as encompassing large areas in Asia Minor and the South Caucasus. This included the whole of Karabakh and Erivan. According to his calculations, the Armenian population living in North and South Azerbaijan amounted to just over 60,000. Jourdain mainly lists Armenian populations in the Azerbaijani territories of Iran. Jourdain lists Armenian populations in Azerbaijani territories of Iran. According to him in Karabakh and (which for that period also included territory of Zangezur province) Erivan Armenians were not more than 10-12 thousand. 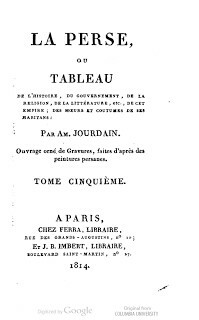 In the 1815 edition of “Vestnik Evropy” (The Bulletin of Europe), Jourdain describes Azerbaijan and the traditions of Azerbaijani Qajar dynasty ruling Iran. He apparently admired the crown prince of the Persian throne, Abbas-Mirza and again admiringly mentioned the special role of Turkic people in the history of the region. In short, the European sources mentioned above provide a clear description of the territories of Azerbaijan in the Caucasus and its ethno-cultural composition. This suggests that contrary to Russian and Armenian denialist history, showing that Azerbaijan historically held territories where the Republic of Armenia was later established. For many centuries Azerbaijan was recorded as the major administrative, military, political, and territorial unit of the Caucasus. European sources provide a different perspective on the socio-political processes in the region, and reveal Russia’s role in organizing the mass settlement of Armenians in the Caucasus in the 19th century. What followed was the appropriation by Armenian immigrants of the rich spiritual, architectural and written heritage of the Christian people of the region, as well as the Azerbaijani people. In this way, Armenian immigrants were able to declare themselves as the ancient people of the Caucasus and make territorial claims upon four neighboring countries: Turkey, Azerbaijan, Georgia, and Iran. Armenian propaganda is currently trying to prove that Azerbaijan and its state structures in the South Caucasus did not exist in the ancient history, and that the term “Azerbaijan” only appeared a hundred years ago on the map of the region. This ideological appropriation of Azerbaijani heritage and history has become an open war by Armenia against Azerbaijan, ultimately leading to the occupation of nearly 20 percent of Azerbaijani territories and the expulsion of one million Azerbaijanis from their lands. Reclus J.E. (1908) The Earth and its inhabitants. St.Petersburg: P.P.Soykin’s publishing house. Bradford, T. G (1835) ‘Persia, Arabia, Tartary, Afghanistan’ A comprehensive atlas geographical, historical & commercial. Boston: Ticknor, William Davis, p. 308. 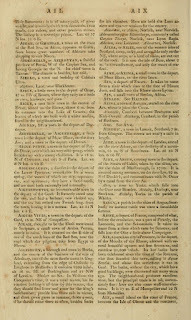 Abbott, Keith E. (1863-1864) Extracts from a Memorandum on the Country of Azerbaijan, Proceedings of the Royal Geographical Society of London, 8(6), pp. 275-279. 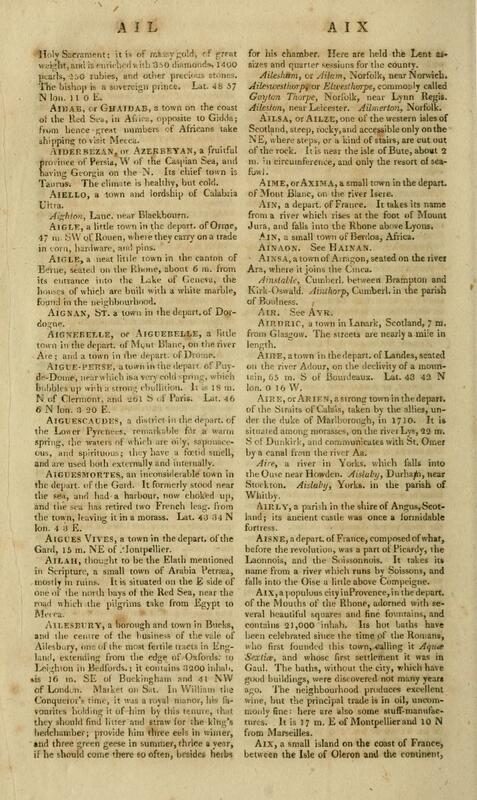 The universal gazetteer (1801) by John Walker, M.D, London (reprint – 1815), p. 25. Vestnik Evropy (1815). A journal. Part 80. № 8. Jourdain Amable. 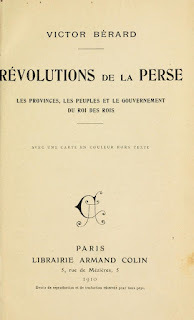 La perse ou tableau de gouvernement, de la religion et de la litterature de cette empire, pp. 291-292. 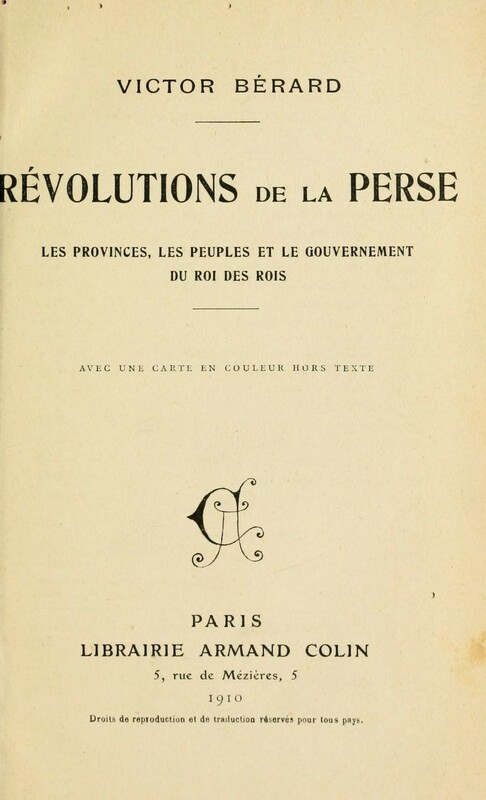 Bérard V. (1910) Revolutions de la Perse, les provinces, les peuples et le gouvernement du roi des rois. Paris: Librairie Armand Colin, pp. 154-155. 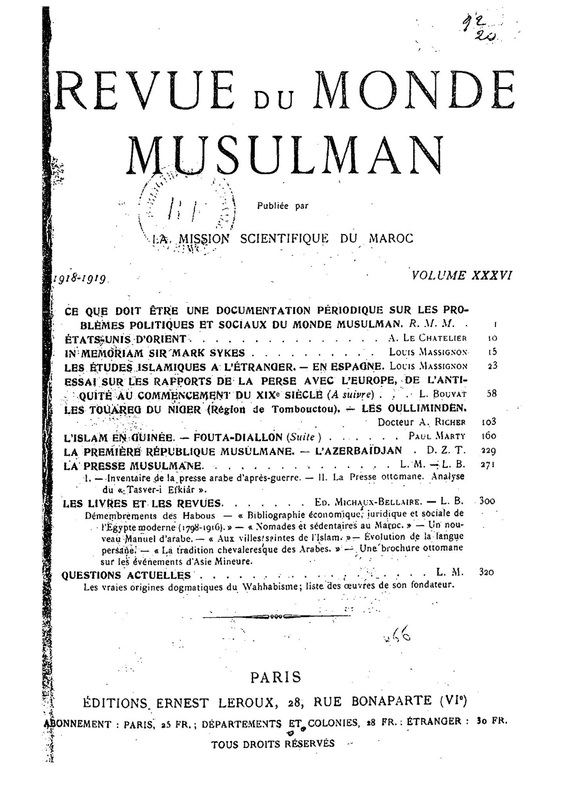 Revue du Monde Musulman, publia par la mission scientifique du Maroc (1918-1919), Tome 36. La premieres republique musulmane: l'Azerbaedjan. Paris: Editions Ernest Leroux, p. 230.